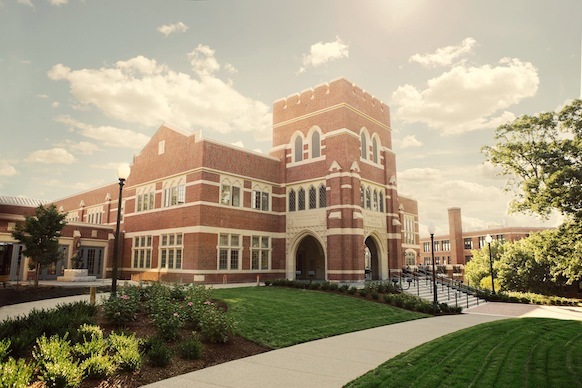 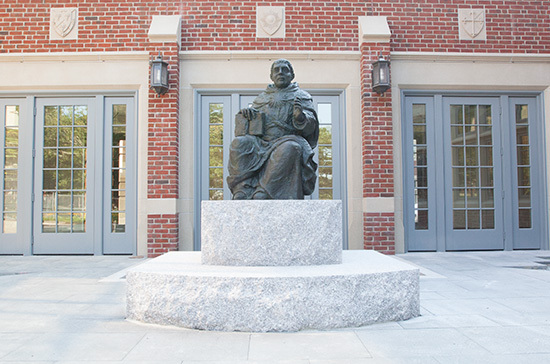 Dedicated in October 2013, and a festive event featuring the eminent historian David McCullough, the Ruane Center for the Humanities is home to Providence College’s Development of Western Civilization Program, its School of Arts & Sciences, its Liberal Arts Honors Program, and its departments of English and History. 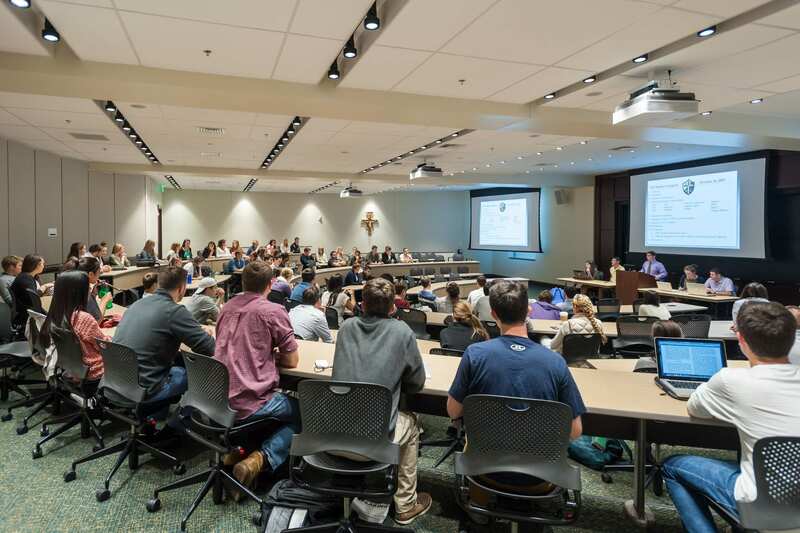 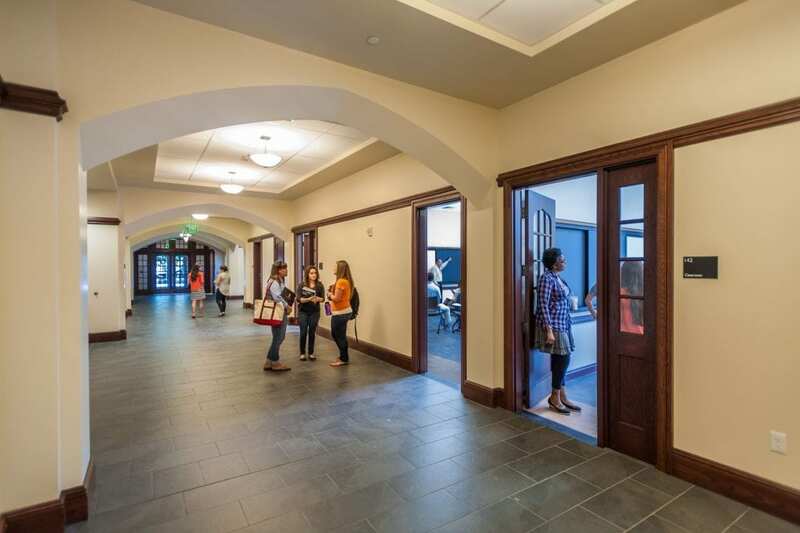 Designed for teaching and learning, the building features seminar rooms, lecture halls, and space for small group meetings – all designed for flexibility. 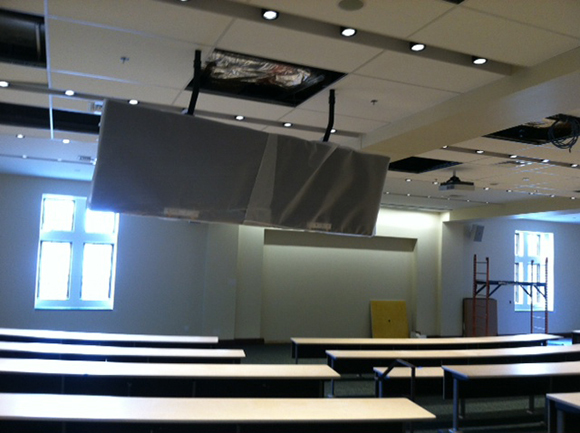 The stunning second-floor Liberal Arts Honors seminar room provides views of nine campus buildings. 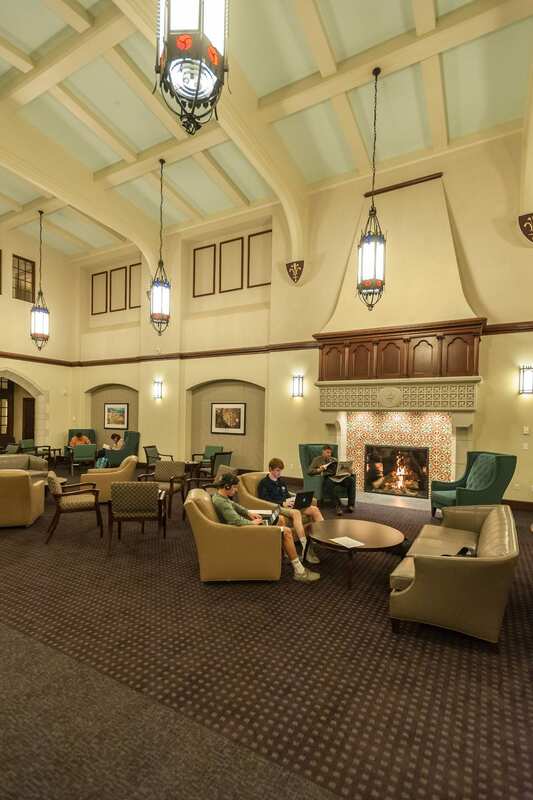 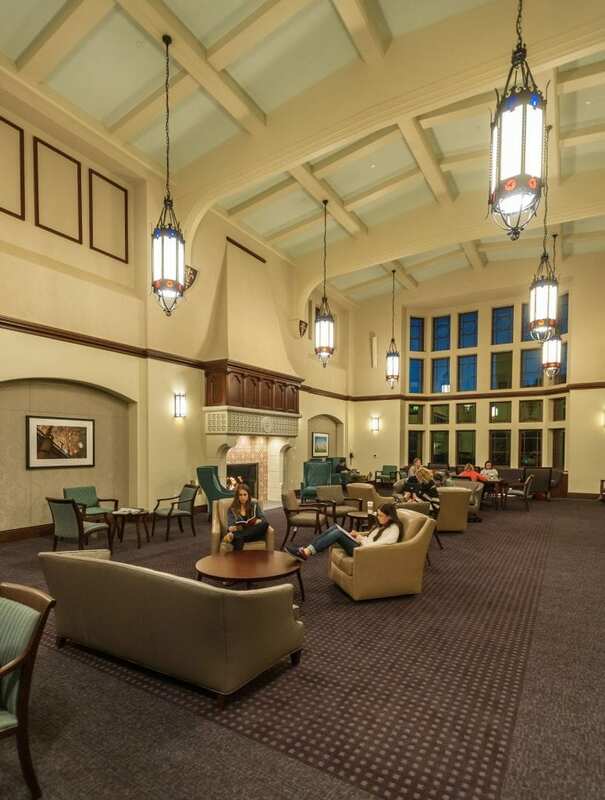 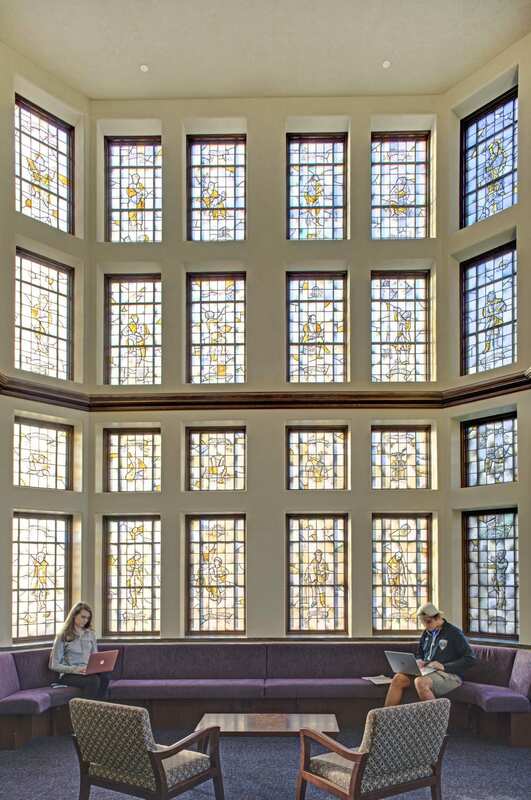 Twenty-four stained-glass windows, 18 depicting significant figures in the history of Western Civilization and six highlighting liberal arts honors disciplines, are a beautiful focal point in the building’s Fiondella Great Room.